Unique and personalised day tours and trips around Barcelona for schools and universities, by 20-year Barcelona resident Nick Lloyd (BA Geography, and history journalist with the Barcelona Metropolitan). We also provide with online and printed study materials, and a post-tour meet-up to give students an opportunity to discuss the themes raised, along with a fun quiz. This is the only such guided visit currently on offer about the conflict in any city in Spain. The tour is run with the Centre d’Estudis de Montjuic, a local history society, presided by Oriol Granades, the ex-director of Barcelona City Museum, who I work with closely on the project. 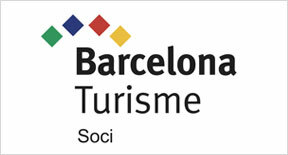 The tours take around three hours and are available in English, Spanish or mix of the the two languages. The history of the hill and its relationship to the city: Iberians, Jews, quarrying, the castle and its dark past, a refuge from the factory fumes for Barcelona’s working class in the 19th century, the Civil War and Montjuic, the execution of the last president of Catalonia, shanty towns, the agricultural past. The Sierra of Collserola is a large green island almost surrounded by the the metropolitan area of Barcelona. But despite its proximity to one of the most densely populated urban zones in Europe, it still retains a remarkable level of biodiversity, with the startling contrast of the city at its boundaries. It is also a good viewpoint from which to understand the geography of the city. Price depends on the number of participants and requirements. The Civil War guided walking tour of Barcelona was a real treat. This really brought what we had been studying to life and added further bits of anecdote and insight to satisfy all. If you’ve read Orwell’s Homage to Catalonia, you’ll love the tour even more! It was very affordable with a good balance between Spanish and English. 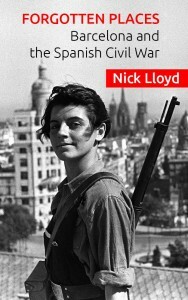 It would be highly suitable for any groups or individuals studying the Spanish Civil War, from A Level through to degree level. My group was a set of Year 13 students studying the Spanish Civil War and Gaudí for their cultural topics at A Level.